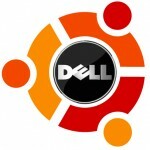 First we need to install Dell’s OpenManage Server Administrator (OMSA) which is one piece from Dell that does support Ubuntu. The above will add Dell’s repository to your apt sources and grab everything necessary to install the OMSA. It does include a java/tomcat webserver for a web GUI interface, but that is not enabled by default and not necessary for our DSET. You’ll need to logout and log back in again to reset your path variables. Once the patch is applied, Systems Management Data Engine should start without problems. Thirdly you need to download the 32 or 64 bit Linux version of DSET. You then need to edit the bin file to not run the install.sh file and to also not delete /tmp/dell_advdiags when it is finished running. You'll need the rpm files that it extracts to install DSET on Ubuntu. Fourthly you'll need to verify that /bin/sh points to bash instead of dash because Dell's scripts rely on bash's functionality. You might have to do these steps one at a time, but that is the flow of things. Alien sometimes complains about ‘unknown flags’ and dpkg will likely also complain about overwriting existing files. The first problem has bothered me so far, but the last is DSET overwriting existing OMSA files which as far as I can tell are the same files. When you run dellsysteminfo, you need to give it a password. This is your typical Linux account password. You should now have something to hand over to the Dell Support people. Just had to use the CheckSystemType patch on a Dell R320 that came in today. What a weird silly problem. I was on CentOS 5.8 for what that’s worth. As you can see, there are missing fields and my patch keys off ‘Is Dell’ which is good enough I think. What is your output like? Have you tried mentioning this on the Dell Linux mailing list? With the help of Jared Dominguez and Paul Warner, we’ve managed to figure out that machines that are “OEM Ready” like the R620XL are not officially supported in OMSA. You either need to update the Vender information in smbios, use my patch or contact your OEM Sales rep to get things working. This has nothing to do with your OS or distribution but the fact that the hardware can sometimes be different in OEM machines than the ones you can order directly from Dell’s website. Thank you for this post. Very usefull! When I run “dellsysteminfo”, I get the following message. I’d appreciate any help on how to proceed from here. Failed to gather Chassis/Storage data. Check the IP Address, credentials and namespace. I got that at one point too, but that had to do with the fact that some services were not running. Check that all the services are running first, then give your root password. You might want to try setting your root password to something not random which happens with Ubuntu. When extracting the rpms from the bin I only get RHEL/sblim-sfcb-1.3.11-49.x86_64.rpm in the temp directory that is created. I have tried this with both version 3.2 and 3.3 as well as x86 and 64 bit versions all with the same result. Thanks in advance! If we follow your instruction everything went well until we run the programm dellsysteminfo. has someone an advice, what to do? You could always trying following along with strace to see what it is trying to do. Other than that, your guess is as good as mine, something is timing out and it needs that bit of information before continuing. Are all the services are running? What do you mean with “all the services are running”? Is there somewhere a list, that I can check against it? This should tell you if your services are all running as expected. anyone will be able to share ? Tested to work on 3.3 version from Dell. Cheers! Great ! thanks bret . I was using “nano” … and It didn t work properly with vim how you suggest worked everything good . what do you think it will be ? Figure that out, and you should be good to go. do you think it will change anything with different omsa ?